Art and garden adventures abound as toddlers take over Cheekwood every Tuesday morning! 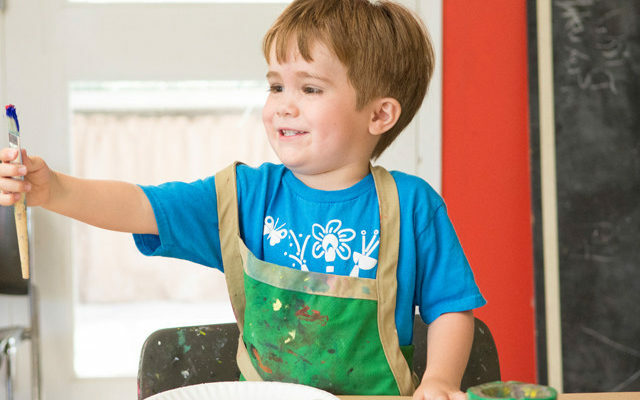 Join us to get hands-on with art and gardens with your tot. Drop-in activities change weekly so that budding artists and botanists will be introduced to the wide world of art. Stop by the gardens anytime between 10 am – 12 pm on Tuesday mornings to participate! Free with general admission or membership. Not sure where the group will be or uncertain about the weather? Just give us a call at 615-353-9827 and we’ll be happy to answer your questions. Don’t forget to bring your imagination and dress for mess! New! Tuesdays for Tots will now be running through the Summer! Stay tuned for the summer schedule. *Tuesdays for Tots will not be happening on Tuesday, April 30th. A special Tuesdays for Tots will be happening on Wednesday, May 1st in celebration of May Day and the opening of Storybook Houses.